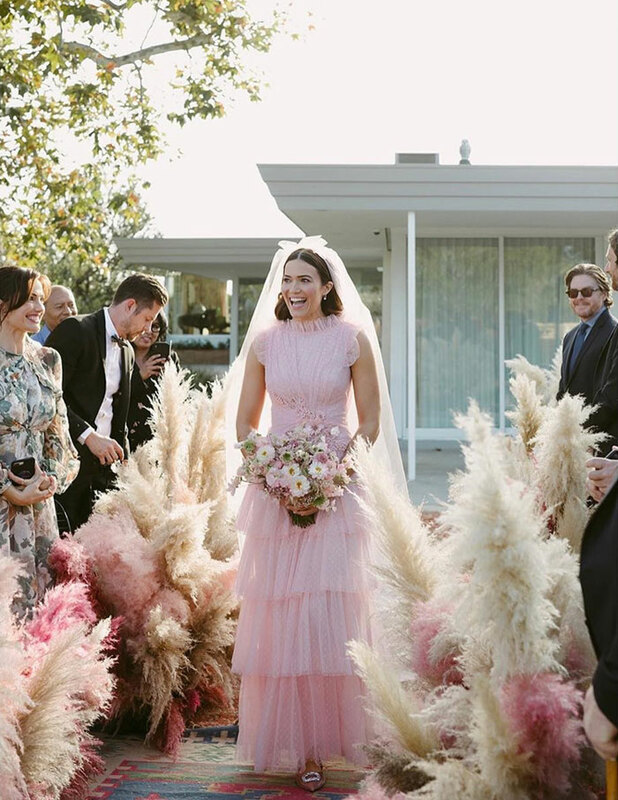 Mandy Moore recently wed fiancé Taylor Goldsmith and we can’t get over her lovely blush pink gown. 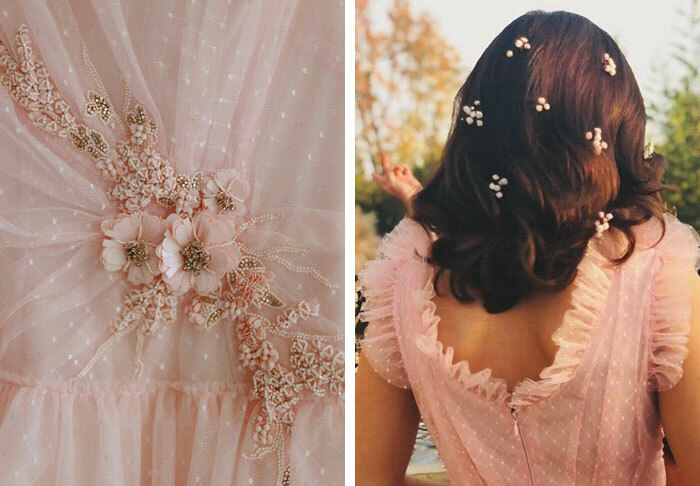 The sleeveless and tiered gown by Rodarte Haute Couture is paired with equally lovely embellished pink pumps. The wedding took place at the star’s backyard which makes for a perfect venue for the intimate celebration with 50 guests which include their family and close friends. 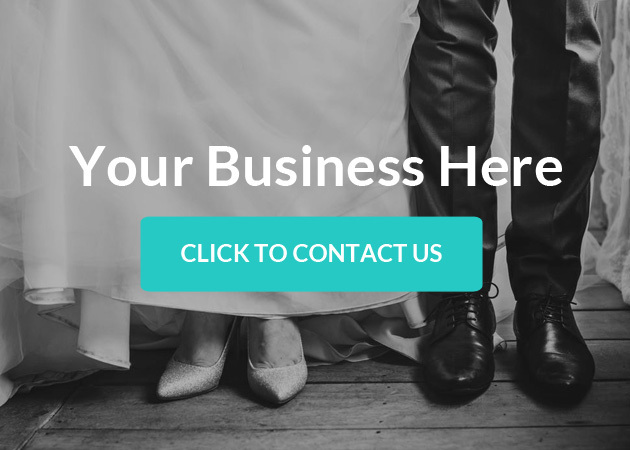 The event has a bohemian vibe with patterned rugs, flowers and feathers lining the aisle. What do you think of her pink gown?